I have an opinion that many people don’t agree with. You might be on the same page. You might not. But you’re definitely going to want to hear me out. I think that Mindfulness is Bullsh*t. I don’t believe that it does what it promises to do. But hold on a second. Before any mindfulness junkies reading this article mindfully spit out their coffee and mindfully slam their laptops closed, hear me out. Let me clarify my opinion; I think modern mindfulness is bullsh*t.
If you haven’t heard of mindfulness by now, you’ve probably been living under a rock. But just in case, I’ll introduce a brief definition. Mindfulness is the state of directing one’s awareness to the feelings, thoughts and bodily sensations that are being experienced in the present moment. This also includes acknowledging and accepting them without judgement. It is commonly used as a therapeutic technique to manage emotions and reduce stress. Modern mindfulness (which I will now refer to as McMindfulness) has largely taken over from Vipassana, at least to the degree that it is far more well known in the West. Vipassana (aka Insight Meditation) is a serious practice. In fact, beginner vipassana courses are usually 10-day silent retreats. Insight meditation requires intense effort, which is absolutely necessary for real change. Mindfulness, however, when applied outside of a traditional Buddhist context, is typically taught as a continuous ‘light’ effort. Try to “be mindful” or “be aware” of your daily activities. The instruction that is given is not the same – in either context, practice or outcome – as a punctuated, committed effort, as used in Vipassana. The word mindfulness comes from sati in Pali. Originally, it was not considered a stand-alone meditation technique; it was an indriya, a faculty or quality you’re supposed to have in vipassana. It loosely translates to remembrance, that is, the remembrance to be fully aware of the contents of experiences. So how did it become distorted? 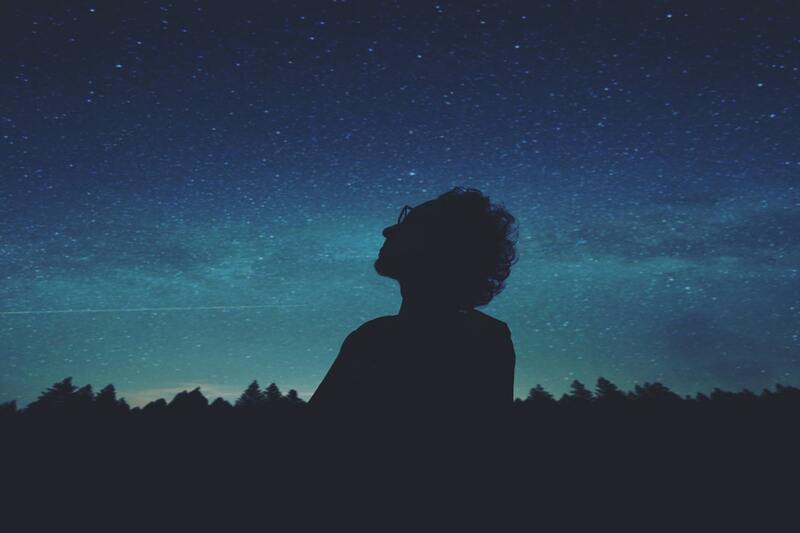 MIT professor Jon Kabbat-Zinn brought mindfulness to the West after having studied meditation under serious teachers, including the widely known Thich Nhat Hanh. He went on to establish the Stress Reduction Clinic at the University of Massachusetts Medical School in 1979, where he developed the now famous Mindfulness-Based Stress Reduction (MBSR) program. Note that it is a ‘mindfulness-based’ program. Zinn’s attempt to remove any Buddhist framework was understandable; he was trying to introduce a novel and somewhat radical approach to Western medicine. At the time however, it was impossible to predict what effect MBSR would have on the culture of meditation. The problem is not in mindfulness itself; it is in the fact that what we are exposed to in the West varies greatly in degrees of authenticity. What is clear however is that an Insight based practice that has been stripped of all Buddhist framework is inherently flawed. Another concern is that as mindfulness continues to be misused, it will go through a hype-cycle. First there will be an over-promise, then it will be a fad, later it will be discredited, and finally it will be forgotten. This is a huge pity, because the degree to which a number of styles of meditation could benefit Western culture is still largely untapped, and our fast-paced consumer society is largely at danger of throwing the baby out with the bathwater. 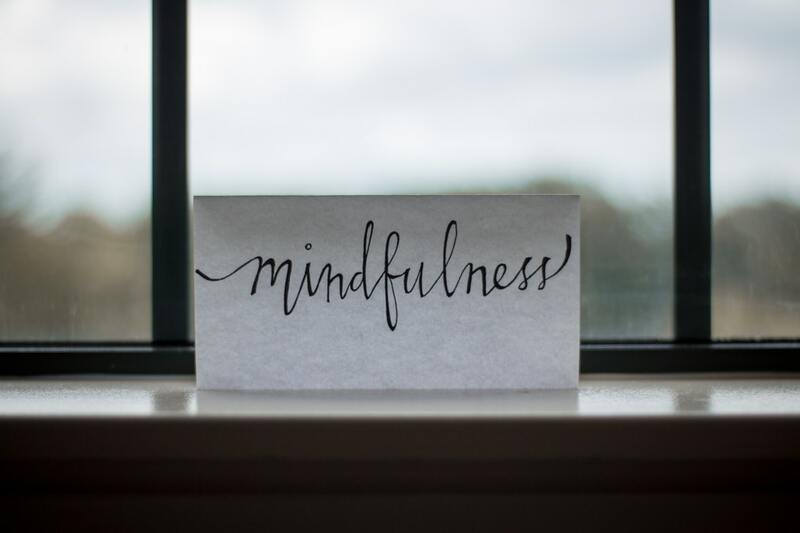 There are a few things you can do to assess the quality of your mindfulness and make sure that what you practice will make a real difference to your life. Attend an official retreat. This is the quickest and most effective way to have an authentic experience. Retreats typically run for 3,5,7 or 10 days. If you’d really like to know what meditation is about, attend a 5 day or longer retreat. Though they can be a challenge to novice meditators they have the benefit that the monkey mind tends to go through cycles of overactivity, tiredness, and deep calm – so you truly get to see what meditation is about. Understand the context. If you have a well-respected meditation teacher in your city or state, then most useful you can do is learn from them directly. However, this isn’t always possible, so the next best thing is to read some books. The Miracle of Mindfulness by Thich Nhat Hanh is a good starting point, as is anything by experienced American Buddhists such as Jack Kornfield, Joseph Goldstein and Pema Chodron. Hold yourself accountable. This is the trickiest thing to do for beginner meditators. With that said however it’s the most useful skill to have because it’s something you’re going to use for your entire life. Basically, you need to act as an internal auditor to your own experience with the question “I am truly being mindful right now?” This means, am I really completely engaged in the experience or am I only half-heartedly being aware. For example, when you initially start with exercise, everything feels like a workout. However, once you’ve gained some experience, you can tell the difference between a real workout and a half-baked effort. 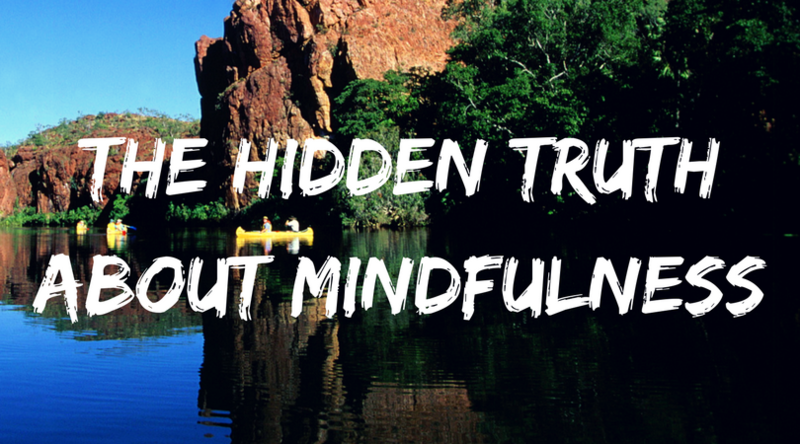 Ask yourself what can convince you that you’re really being mindful? What does it feel like from a bodily sensation? In the pilot episode of the Deconstructing Yourself podcast, long-term Vipassana practitioners Michael Taft and Kenneth Folk dive deep into this process, it’s definitely worth a listen! The key difference between this style of Vipassana and concentration meditation is that in insight meditation, holding awareness of either the bodily sensations or thoughts or awareness of the breath is fine. As long as you are aware of the contents of the experience, and not lost in mind-wandering, you’re following the instructions of the practice. The main focus is that you remain aware of the experience in the moment and don’t get lost. In concentration meditation, the attention is directed exclusive towards the breathe, and awareness of other feelings or thoughts should be met with a re-directing of the attention back to the breath. There are dozens of ways you can practice mindfulness. As long as you focus diligently and non-judgmentally on the sensations of an experience, you are engaging in vipassana. Rising and falling. In this practice, you notice the sensations associated with the rising and falling of the abdomen as you breathe. Simply place your attention on the motion of rising and falling of the breath from the beginning of the inhalation to the end of the exhalation. Don’t judge or describe them, simply feeling the experience from a purely sensory perspective. You may notice that the abdomen stops for a split second at the end of the inhale. Mental noting. This is the most common technique used in therapeutic contexts and has been proven to be effective for dealing with anxiety. Simply watch closely what feelings, thoughts, and sensations arise, and give them a short name before letting go of them. Some notes you may want to start with are: hearing, feeling, thinking, seeing, touching. As you gather more experience you might want to use more specific labels such as; fear, anxiety, anger, joy, surprise, heat, cool, hard, soft, smooth, rough, remembering, planning etc. Walking meditation. If you have any issues with your back or other physical pain, walking meditation is going to be a great ally. Here’s a basic walking meditation from the Vipassana Dhura Meditation Society. Observe the standing posture, noting “standing” for a few moments. This means to focus awareness on the posture of the body as you stand (for a more detailed description of how to observe posture, see Exercise 4). If this is difficult you can choose one point to focus on, such as the soles of your feet, being aware of the feeling of pressure from touching the floor. Before moving, note “intending to walk.” (Don’t skip this step). Slowly lift the right foot and place it down, taking one step. This should be a single fluid motion without breaks. Be aware of the entire arc of movement from beginning to end. As you do so, label the step “placing” (remember to label while the motion is happening, not afterwards). The left foot should not have moved and the left heel should still be on the ground. After placing the right foot down, stop completely for a moment. Slowly take a step with the left foot, noting “placing.” Stop. Continue walking, making sure to stop completely after each step. Only move one foot at a time. Note “standing” for two or three moments. Lift the toes of your right foot and pivot on the heel, turning to your right. At the same time, say the mental note “turning.” The right heel should stay on the ground. Be sure to keep your head in line with your torso. The left foot should not move. Stop. Lift the left foot and place it down next to the right, while noting “turning”. (The left foot doesn’t pivot, but steps.) You should have moved about ninety degrees. Stop. Pivot on the right heel again, noting “turning.” Stop. Lift the left foot and place it down next to the right, noting “turning.” By now you should be facing in the opposite direction, having turned one-hundred-and-eighty degrees. Repeat steps 1-12 as many times as you wish. Practicing Vipassana Meditation with intention and diligence can lead to real insight, which is why it is such a fundamental part of Buddhist teachings. If you’ve been struggling to get the hang of mindfulness for a while, it’s likely that it’s because you’ve yet to receive appropriate instruction or context. Try some of the practices I’ve mentioned above, or better yet, find an authorised Vipassana retreat. What’s your experience with Mindfulness, Vipassana, or other styles of meditation? Let me know in the comments! Ben is a freelance writer and the creator of Project Monkey Mind, a blog that looks at Psychology and Spirituality to find practical wisdom for the digital age. 50 Life-Changing Dalai Lama Quotes on Life, Love, Health, Happiness, Kindness and More! Why Am I So Sensitive? Copyright © 2018. Project Monkey Mind. Are you feeling down? Overwhelmed? I've teamed up with BetterHelp to offer a FREE 7-Day Online Therapy Trial. Fill in the brief personality questionnaire and talk to someone today!